What’s Missing From Your Claims Management? Managing insurance claims is an important part of revenue generation in your optometric practice. Unfortunately, it’s also a complex job that requires the right people, processes, and software. 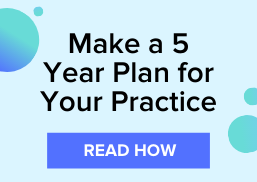 If your optometric practice isn’t generating enough revenue from your insurance claims, it’s time to look into your claims management efforts and identify what’s missing from it that can help you earn more money from claim reimbursements. Below are three things that could be missing from your claims management efforts. Insurance is complex, and managing your practice's ability to receive insurance reimbursements from multiple claims is more complicated if you’re not using the right tools to guide you through the claim lifecycle and assist in reducing claim denials. With the right claims management software, your billing manager can use technology to submit medical and vision claims to hundreds of payers from a single web portal. Additionally, with advanced scrubbing capabilities, you can identify errors in the claim and correct them before you submit them to the payer. This will reduce the number of claim denials you receive. How your billing manager handles claim rejections can indicate problems in your claims management process. Claim rejections are common if you’re using the right tool. However, if your process isn’t optimized to handle the rejections quickly, then you may miss out on the reimbursement. While claim rejections may take up more time and hinder your billing manager from progressing on new claims, the ability to correct and resubmit the claims in a timely manner can keep you from getting a denied claim and missing out on money you and your optometric practice has earned. Optimizing your claims management process to address rejections first will help your billing manager keep claims moving forward to generate revenue for your practice. Using features like workgroups can help your billing manager stay on top of rejections. In many optometric practices, the billing manager is also the office manager. Juggling two complicated and time-consuming tasks like these can take a toll on the employee leading to burn-out and costly errors. If you think your biller can use an extra hand managing the claims, you can either hire another staff member or partner with a revenue cycle management service provider to work as the extension of your team. With a revenue cycle management team, your practice can increase payments, decrease bad debt write-offs, and increase patient satisfaction. Download "The Definitive Guide To Making More Money On Claim Reimbursements" for other tips on how you can stay on top of your claims management.